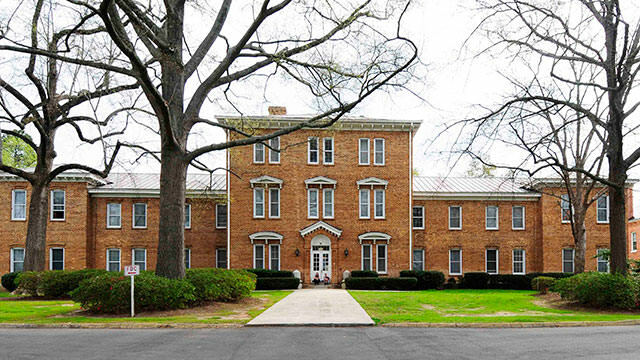 Newberry College is a Lutheran, Non-Profit, Liberal Arts, College established in 1856. The campus is located in Newberry, South Carolina, USA and hosts 1,155 (2010) students with an endowment of $23 million (2012). This is in response to Elizabeth above. 1st..this is a small Christian based college (Lutheran college). So having said that…based on her choice of words, sounds like it is already a school not suited for her and her lifestyle. 1. You are NOT forced to buy their laptops. We purchased a laptop at Best Buy for approx 600.00. In fact, I would recommend that you purchase the Office Student Edition thru Newberry because you get a great discount. We saved about 70.00. 2. Laundry is free for on campus students…atleast it is as of Spring 2011. 3. The “crummy little town” is actually the safest city in South Carolina. In fact, it is considered one of the top 100 towns in America. 4. The dorms…I’ll give her a pass on this one…they are not the best, but they are still a little bigger & nicer than the ones we saw at USC. In fact, many of the dorms in USC (Univ. South Carolina) smelled like vomit. 5. Neberry is a private college, so by nature it will be more expensive, but Newberry also offers a TON of financial aid….way more that USC or Clemson offered. In fact, if you scored at least a 24 on your ACT and placed high in your class rankings (20% or better), you automatically qualify for a 10,000 grant thru Newberry re-newable every year!! And that is just the tip of the iceburg….you even get grants for being Lutheran (1,000)..also renewable. By the time we finished meeting with our financial advisor, we ended up paying out of pocket approx 5,000/yr which we could have taken out loans if we wanted. So, that means we went from 31,000/yr to 5,000/yr. If we went to USC or Clemson, we would have paid over 10,000/yr out of pocket! We visited over 5 colleges…big & small….and Newberry, by far, had the nicest faculty & staff. The campus was very clean and all the students we met were very friendly and more than willing to take the time to talk to us. As a matter fo fact, the Head of the Music Dept at Newberry called us on a Sunday nite to see if we received our finacial aid package yet and if we had any questions about it…I couldn’t believe it. But, what I noticed most of all, was the close relationship between the professors & their students while we were on visit. To me, this was the most impressive part of Newberry. Newberry College is a small school but has that big school feel….large plantation style buildings and lots of very large old trees spread all over campus. So, if you are starting to look at colleges, I strongly urge you to visit Newberry College..I think you will be pleasantly suprised. Newberry College is surrounded by nice people..